An odourless insecticide dust for the control of ants, wasps and hornets (nests), including Asian Hornets. Active ingredient is Bendiocarb (1.25 %). 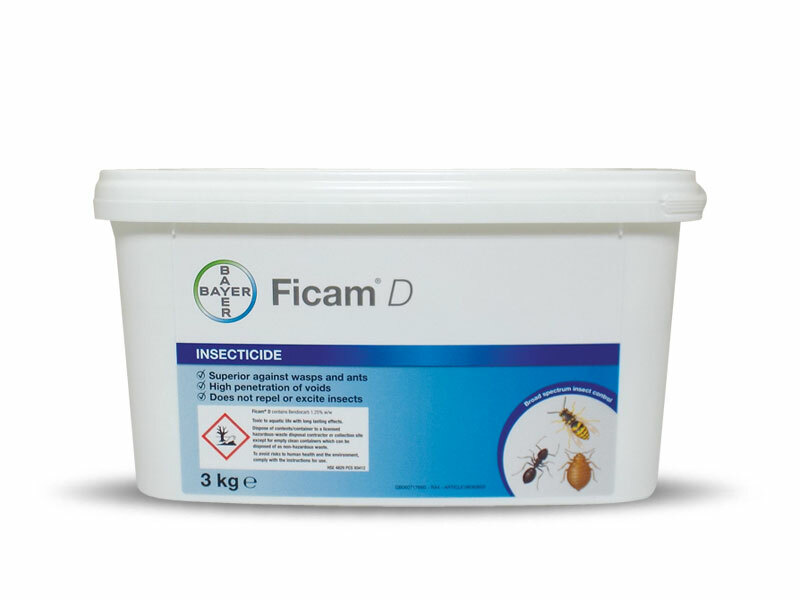 Ficam D is particularly recommended for the treatment of inaccessible areas such as roof voids and service ducts where spraying is impractical and around electrical installations where spraying is undesirable. Ficam D is for use indoors in areas including houses, blocks of ﬂats, hospitals, warehouses, factories, museums, military establishments, vehicles, ships and aircraft. For control of wasps and hornets (nests) including Asian hornets nests, as an indoor nest treatment, used with an impervious surface covering. For control of Ants, as a spot application, speciﬁcally around electrical equipment, inside of voids, cavities and service vents. Call the office for bulk deals.